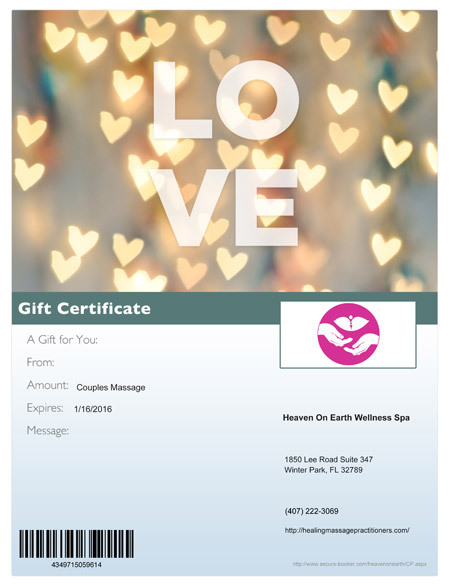 Get The Couples Massage You Have Been Waiting For! Over worked, over stressed, just plain tired? Is a form of bodywork that aims to relieve tension either through light touch or infiltrating deeper layers of tissue. You choose the level. A type of massage designed for highly active people who engage in athletics. Participating in sports is harsh on the body and can often lead to injuries, both the short and long term. Gently and rhythmically moves the lymph through the body, with emphasis on the swollen areas, relieves pressure and enhances the functioning of the immune system. Is a combination of advanced bodywork techniques that focuses on the root of the physical ailment, and is intended to treat specific physical conditions. Emphasizes and stimulates the body's natural ability to heal itself. Neuromuscular Therapy also enhances the function of joints and muscles. Pregnancy is a wonderful time of discovery and connection for a woman, her body, and her baby. Handling the stress due to dramatic physical and emotional changes alone can be difficult. Using hot stones we locate painful areas and trigger points. Then through our innovative massage techniques we release the tension, relax the muscles and allow the healing process to begin. 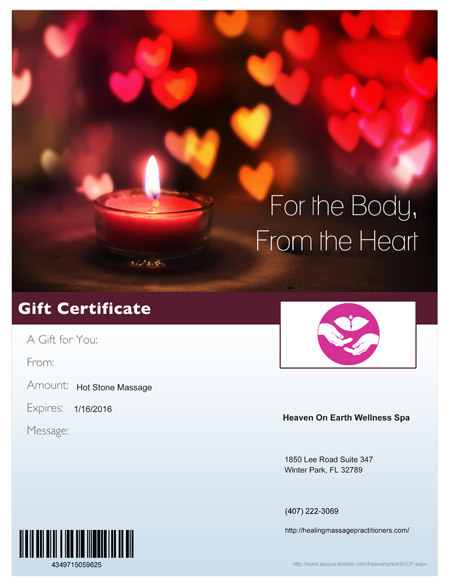 Price: $150.00 during the Christmas season take a 20% off when buying a gift certificate!